Americana outfit Willie Sugarcapps will release its latest full-length studio recording next month. The album, Paradise Right Here is the group’s second full-length studio recording. It will be released in stores an online Friday, April 15th, a little more than three years removed from the release of its self-titled debut. Those that might not be familiar with the group will find this new eleven-track record to be a good introduction to the band and its sound. That is because despite the band being labeled solely as an Americana act, its sound mixes that Americana sound with elements of country and bluegrass. The end result is a forty-seven minute musical experience that listeners will agree is one of the best of not just one genre but each noted field this year. 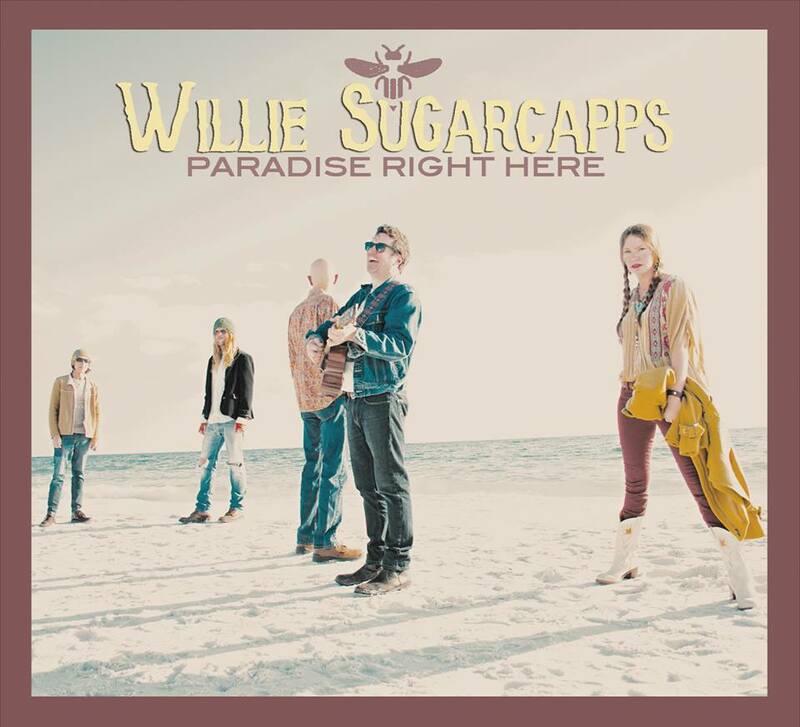 Willie Sugarcapps’ latest full-length studio recording Paradise Right Here is one of the best new offerings not just in the realm of Americana but also of the country and bluegrass universe, too. That is because the group, which also features members of fellow Americana act Sugarcane Jane, doesn’t just stick to its familiar Americana sound for which it has become known since the release of its debut album three years ago. It mixes them time and again throughout the course of the record. What’s more the group’s members do so with a clear respect for each genre along the way. This is obvious right from the album’s outset in the song ‘Dreamer’s Sky.’ The use of a fiddle and mandolin set against vocalist Will Kimbrough’s vocals conjures thoughts more of a bluegrass sound than what one might think of when one thinks of Americana. Then again, Americana is very closely related to bluegrass (and country). To that extent the song’s musical content could honestly fit the song into any of those three genres. That being the case, it is just one example of what makes this new effort from Willie Sugarcapps such a standout offering in whole. It is just one example of what makes the album stand out, too. ‘Find The Good,’ with its southern gospel sound, is another example of what makes this record stand out. ‘Dreamer’s Sky’ is a good example of what makes Willie Sugarcapps’ new album stand out. That is because the song clearly crosses the musical boundaries of country, bluegrass, and Americana over the course of its nearly four minute run time. It is just one example of the songs’ ability to blur the lines of bluegrass, country, and Americana and how that ability keeps the album so easy on the ears from beginning to end. ‘Find The Good’ is another *ahem* good example of the group’s ability to blur those lines and keep listeners engaged in the process. In regards to the song’s musical arrangement, it sounds like anything but Americana. In fact it boasts more of a Southern Gospel sound than that of bluegrass, Americana, or even country. Though, in many cases the in between all three genres is, once again, easily blurred. To that extent this song shows with its musical content alone just what makes not just it but the album in whole stand out in each genre’s field of new offerings this year. The song’s lyrical content adds even more depth to that sound as Anthony Crawford sings along with his fellow artists, “Celebrate/This life we’re living/Make the best/Of every day/Look for the good/In everybody/Find the good/In everything/Just because/A porch got raillin’/It does not mean/That it’s safe to lean/You gotta use your head/For the muddin’/You gotta think about everything.” From here, the group returns to the chorus before heading into the song’s next verse. This pattern continues through the rest of the song’s roughly two nad a half minute run time without straying from that Southern Gospel vibe. Those lyrics could even be considered be borderline Gospel with their themes of appreciating all that life offers. All things considered here, the song in whole serves as yet another example of what makes Paradise Right Here stand out in so many ways. It still is not the last piece that proves what makes this record stand out. ‘The Highway Breaks My Heart’ is another piece that serves to make Paradise Right Here stand out. ‘Dreamer’s Sky’ and ‘Find The Good’ are both prime examples of what makes Willie Sugarcapps’ new album Paradise Right Here stand out not just in the realm of Americana but also in the realms of country and bluegrass. That is because in regards to their musical and lyrical content both songs blur the lines of all three genres, and do so with the utmost precision and ease, too. They are not the only songs that do so either. ‘The Road Breaks My Heart’ is one more example how that crossing of genres makes this record stand out. Whereas the previously noted songs exhibited crosses between gospel and Americana (‘Find The Good Things’) and bluegrass and Americana (‘Dreamer’s Sky’) ‘The Road Breaks My Heart’ exhibits more of a cross between Americana and old school country. This song is driven largely by a combination of guitar, steel pedal, and mandolin. The vocal style of the song’s vocalist adds even more to that hybrid Americana/country sound in this song. Speaking of the vocals, the song’s lyrical content makes this song stand out just as much. Just looking at the song’s title one would think that this song was just another standard piece about a person on the road and how tough it is emotionally being away family and friends. But that couldn’t be any farther from the truth. Instead it is sung from the standpoint of a subject loves life on the road. He sings, in the song’s lead verse, “I don’t mind it/Only I can understand/When God made me/He made a traveling man/On these long, long drives/I can almost always find/A song to keep me awake in between the lines/I’ve earned my rhino skin/Here’s the funny part/the highway breaks my heart.” The reason that the highway breaks the subject’s heart is how much the landscape changes as he travels. He even sings outright, “She breaks my every time I think she’s coming to an end/When I see her in the distance/Rolling ‘round the bend/It seems to me/I love the way/She never stops or starts/The highway breaks my heart.” This is a man that loves the highway rather than hates it. He is someone that loves being on the road. This is something very rare whether in the realm of Americana, country, or even bluegrass. Keeping this in mind it makes this song stand out even more as an example of what makes Paradise Right Here not just a standout Americana record but one that stands out within the realms of both country and bluegrass, too. Together with the previously noted songs and those not noted here the whole of this new record proves the album to be not just one of the best within those genres but also one of the year’s best new albums overall, too. To keep up with the latest sports and entertainment reviews and news, go online to http://www.facebook.com/philspicks and “Like” it. Fans can always keep up with the latest sports and entertainment reviews and news in the Phi’s Picks blog at https://philspicks.wordpress.com. Country music and its related genres (I.E. americana, bluegrass, and folk) are big business in the music world. Just look at all of the karaoke competitions on television today and the number of country singers that go on those shows, trying to make a name for themselves. Look at the reach that it has on radio in general. Artists such as Taylor Swift and Carrie Underwood have bridged the gap between pop and country alongside the likes of Rascal Flatts, Eric Church, and so many others. In the same breath, true-blooded country music remains just as much of a driving force today within the realm of country music as its more cross-genre counterparts that have become so popular over the last ten years or more. The dichotomy of the two worls is really intriguing to examine as well as the fan base of both sides of the country music world. Keeping that in mind, country and its offshoots can be said to have just as much importance to the music industry today as any other genre. So having covered the realm of children’s music, independent music, and world music, it seems only fair to offer up a listing of the year’s top new records in the worlds of country, folk, bluegrass, and Americana within their own collective year-ender. This was one of the more difficult lists to assemble because of the sheer variety of sounds and titles available to listeners this year. North Carolina-based Delta Rae makes the list once again with its new album After It All. Americana artists Buzz Cason is on this list, too with his new album Record Machine as are Willie Nelson and Merle Haggard with their new record Django and Jimmie. Of course Geoge Strait, “The King of Country,” couldn’t be ignored in this list. His new album Cold Beer Conversation is on the Phil’s Picks list of 2015’s top new Country, folks, bluegrass, and Americana records, too. They’re just a handful of the acts to make the list this year. There are plenty of others veteran and otherwise alike on this year’s list. Without any further ado, I offer to you, dear readers, the best new country, folk, bluegrass, and americana albums of 2015. As always the top 10 albums are…well…the top 10. the bottom five each get honorable mention. That is not a stab against them by any means. It was just that tough to compile the list and do it fairly because there were so many great new records in this realm just as with the other lists. Enough rambling. Here are the Best New Country, Folk, Bluegrass, and Americana albums of 2015 from Phil’s Picks. 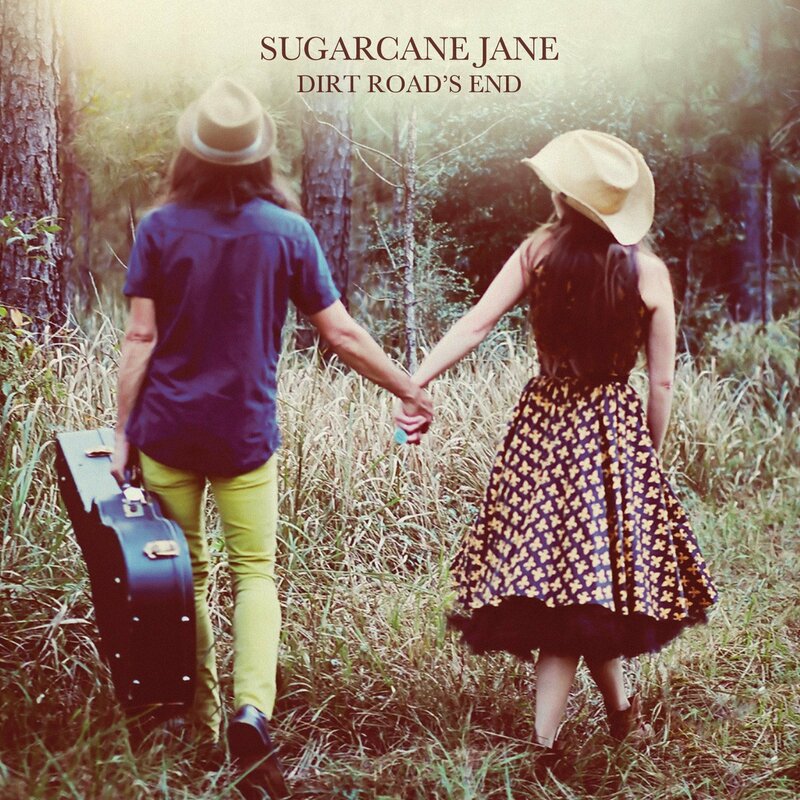 Sugarcane Jane is one of the music industry’s best kep secrets today. The duo–Anthony Crawford and Savana Lee–released its first album in 2009. Six years later, it has already released its fourth full-length studio effort in the form of Dirt Road’s End. It is safe to say that in listening to its ten total tracks, Dirt Road’s End is one of this year’s best new albums overall. One could just as easily place it on the list of the year’s best new country albums, too. But even that would be unfair. That is because it exhibits more than just country elements. There are also elements of folk, bluegrass, and even the blues throughout the record’s thirty-seven minute run time. The combination of those elements conjures thoughts of Bob Dylan and Tom Petty just to name a couple of artists. The record’s opener ‘Ballad of Sugarcane Jane’ displays the record’s blues influences. ‘San Andreas’ comes early in the album’s sequencing. It exhibits the record’s more folksy influences. And then there is ‘Not Another Truck Song’ in which Crawford and Lee put on display their country roots. These are just a few songs that exhibit Sugarcane Jane’s various influences on its new record. Each of the album’s seven remaining tracks could just as easily be used as examples of why it is so enjoyable. Whether for those songs or the pieces more directly noted here, there is no doubt in listening to each of the album’s compositions why it is one of this year’s best new records overall. Sugarcane Jane’s new album comes in at only thirty-seven minutes long. Considering that it is composed of ten tracks that really is not very long. Even having barely topped the half-hour mark, Crawford and Lee offer their audiences so much throughout the course of that time. Both through the album’s various musical stylings and its original lyrical content, Dirt Road’s End shows great depth from beginning to end. It exhibits this right off the top in its opener ‘Ballad of Sugarcane Jane.’ Musically speaking it shows its own depth thanks to its hybrid bluesy/country sound. The sound in particular is classic blues and country right down to the harmonica, dual harmony, and twang from its dual guitar approach. It’s a sound that is sadly very difficult to find among today’s blues and country acts. So to hear that sound here is refreshing to say the very least. Lyrically speaking Crawford and Lee have crafted a song that is just as classic. The duo sings about its roots through the course of the song’s barely five-minute run time; 5:09 to be exact. The pair sings, “I’ll follow my dreams to the land of the crow/All the way to the music row/I fell in love when I heard her sing/I’ll pack my bag and my old six-string/Headed south in an all-out run/To the arms of a woman and her daughter and her son/Built this house at the dirt road’s end/That’s just how this story begins/With no regret to the past I claim/Started a band called Sugarcane Jane.” Crawford and Lee go on to sing about everything that has happened since the they formed their act. The story in question will keep listeners engaged and even singing along thanks to its simple, infectious chorus of “She sang la-la la la la/La-la la la la la la la/La-la la la la” set against the twang of the pair’s guitar work. Listeners will even find themselves singing along happily with Crawford and Lee as they tell the rest of their story in the rest of the song’s body. In doing so, listeners will agree yet again that even in the case of just this one song, Dirt Road’s End exhibits so much depth and substance even in its simplicity; so much so that it shows itself to be a clear example of why this record is one of the best new albums of the year. ‘Ballad of Sugarcane Jane’ is a clear example of why Dirt Road’s End is one of this year’s best new albums overall thanks to its simplicity. The simplicity of its lyrical content along with its equally simple yet catchy musical content makes it just one of so many hits included in the record. It’s just one example of what makes Dirt Road’s End such a hit, too. ‘San Andreas’ is another clear example of what makes it such a hit. Considering the song’s lyrical content, in which Crawford sings about life on the San Andreas fault line, one would think that this song would have a little more heaviness about it in terms of its musical content. But that is not the case. It is in fact a gentle tune that conjures thoughts of Bob Dylan’s greatest works thanks to Crawford’s vocal delivery and the song’s use of harmonica, banjo and guitar. For those wondering, Crawford sings the praises of life along the infamous fault line singing, “Life along the San Andreas/Is beautiful throughout the year/The weather she remains a constant sixty-five/And they say if God had a home/She’d be livin’ there/Standin’ on the cliffs above the ocean/The view along the one will take your breath/To turn aorund and see the golden, rolling hills/Where the eagles and the redwoods make their nest/Though sometimes she may get angry/Break a dish/Shake a tree/Crack the road/It’s a small price to pay/For heaven on Earth/San Andreas/San Andreas fault line.” Crawford goes on to sing about the rest of the sights along the fault line that make it not so bad including the small town of Pescadero, its people, and plant life. Yet again Crawford and Lee have crafted a song that is so simple both musically and lyrically. What’s more the duo has crafted here yet another song that is entirely original lyrically speaking in comparison to anything else that is out there today from acts of any genre. That simple yet original lyrical content coupled with the song’s equally simple musical approach serves even more to show why Dirt Road’s End is one of this year’s best new albums overall. ‘San Andreas’ and ‘Ballad of Sugarcane Jane’ are both clear examples of why Dirt Road’s End is one of this year’s best new albums overall. They both serve as clear examples thanks to their simple musical and lyrical approach, and for their original lyrical content. They are just a couple examples of what makes Dirt Road’s End such a standout album. ‘Not Another Truck Song’ also exemplifies the album’s positives. The positives in question are the same as those in the prior noted songs–its musical and lyrical simplicity, and its lyrical originality. Musically speaking, ‘Not Another Truck Song’ is a simple, old school country song. There is no other way to put it. There is a guitar, a banjo, and a two-part harmony from Crawford and Lee. The lyrics are just as simple and original. That is evident as the duo sings, “This is not another truck song/Or some hard time outta luck song/This is a love song for you/Who needs another old truck song/I have to listen to them all day long/There’s only one thing we can do/Let’s let the top down/Head on outta town…Forget the radio/I’ll hum a song I know/A song to make you feel alright.” The duo goes on to playfully poke fun at all of the stereotypical classic country songs that have been crafted over the years. The very fact that Crawford and Lee would use a classic country musical approach as the backing for this piece makes it even more enjoyable and proves even more the song’s originality. It’s one more example of what makes Dirt Road’s End another one of this year’s best new albums overall.